BLOOMING GROVE, Pa. - Authorities say a heavily armed survivalist with a vendetta against law enforcement is the suspect in an ambush that killed one Pennsylvania State Police trooper and wounded another in a heavily forested region of northeastern Pennsylvania. State police have warned the public that 31-year-old Eric Frein of Canadensis is dangerous, saying he's talked about committing mass murder. One local school district has closed Wednesday because of safety concerns for students and staff. 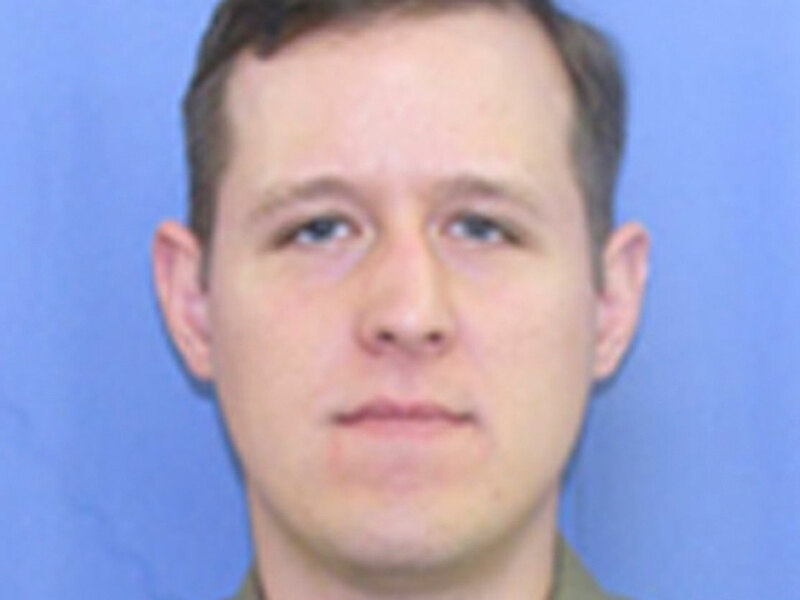 After opening fire on troopers at the remote barracks in the Pocono Mountains Friday night, Frein evidently tried to make his escape in a 2001 Jeep Cherokee, authorities say. Instead, he drove into a swamp about two miles away, where a man walking his dog stumbled across the partly submerged SUV three days later and called 911. It was the big break police were looking for, one that set of a massive manhunt by more than 200 law enforcement officials who fanned out across miles of thick woods, a place where Frein is believed to feel at home. Inside the abandoned Jeep, investigators found evidence they say ties Frein to the ambush that killed one trooper and critically wounded another: shell casings matching those found at the shooting scene. Frein's driver's license, Social Security card and Pennsylvania Game Commission range permit. Camouflage face paint, two empty rifle cases and military gear. "We intend to keep him on the run until we catch him," State Police Commissioner Frank Noonan said at a news conference Tuesday in which he revealed the suspect's name. Calling him "extremely dangerous," Noonan said Frein has a long-standing grudge against law enforcement. "He has made statements about wanting to kill law enforcement officers and also to commit mass acts of murder," Noonan said. "What his reasons are, we don't know. But he has very strong feelings about law enforcement and seems to be very angry with a lot of things that go on in our society." Frein was charged Tuesday with first-degree murder, homicide of a law enforcement officer and other offenses. "We have no idea where he is," Noonan said. Police found a U.S. Army manual called "Sniper Training and Employment" in the suspect's bedroom at his parents' house, and his father, a retired Army major, told authorities that his son is an excellent marksman who "doesn't miss," according to a police affidavit released Tuesday. Frein has held anti-law enforcement views for many years and has expressed them both online and to people who knew him, Lt. Col. George Bivens said. "This was not unexpected," Bivens said. "As we've interviewed a number of people, that's been the common theme. This was not a surprise." Frein's father, Michael Frein, who spent 28 years in the Army, told police that two weapons were missing from the home - an AK-47 and a .308 rifle with a scope, according to the police affidavit. Two state police troopers armed with rifles stood in the driveway of the home, a well-kept two-story in a private community, and several cars were parked there Tuesday afternoon, reports CBS Pittsburgh. Lars Prillaman, who manages a small farm in West Virginia, said he knew Frein very briefly from their time as military re-enactors. He told The Associated Press he was "saddened by what happened" and said Frein was "a different person eight years ago." Cpl. Bryon Dickson was shot as soon as he walked out the front door of the barracks. CBS Pittsburgh reports Dickson's shift had just ended, which is why he was leaving. A communications officer heard the shot, saw Dickson on the ground and asked him what had happened. Dickson told her he'd been hit and asked her to bring him inside - but the gunman had squeezed off another round, forcing his would-be rescuer inside. Trooper Alex Douglass, meanwhile, had just arrived at the barracks and was shot in the pelvis as he walked toward Dickson. Douglass managed to crawl into the lobby, where another trooper brought him into a secure area of the barracks. Douglass later underwent surgery at a hospital. Other troopers drove a patrol SUV into the parking lot and used it as a shield so they could drag Dickson into the barracks and begin attempts to save his life. He died at the scene. A coroner said he had been shot twice. About 90 seconds elapsed between the first shot and the fourth and final one. With the gunman still on the loose, residents near Frein's house were jittery. Rich Turner, 52, who lives around the corner, said school buses avoided the neighborhood Tuesday, with parents directed to take their kids to school and to pick them up. Schools in the Pocono Mountain School District will be closed Wednesday. "Everybody's wondering if he's still out there. Everyone's on edge, to a degree," said Turner. A nonprofit group offered a $50,000 reward for tips about the deadly assault at the remote post in northeastern Pennsylvania's Pocono Mountains. Pennsylvania Crime Stoppers, which posted the reward offer, asked anyone with information to call 800-4PA-TIPS or submit the tip online.